The Delaware Kitchen Share Project is a 2,400 square foot commercial kitchen rental concept. Their clients are primarily product developers and food truck entrepreneurs who do not have access to a commercial kitchen. Mise Designs was contracted to develop the commercial kitchen design as well as supply all the additional equipment needed for their future rental clients. One of the interesting features of the Delaware Kitchen Share Project concept was the integration of multiple security storage units in both the dry storage and refrigeration areas that are intended to be rented out to their clients. The previous occupier of this space was a catering facility so a full site survey and complete inventory of all existing equipment needed to be created by Mise Design Group. 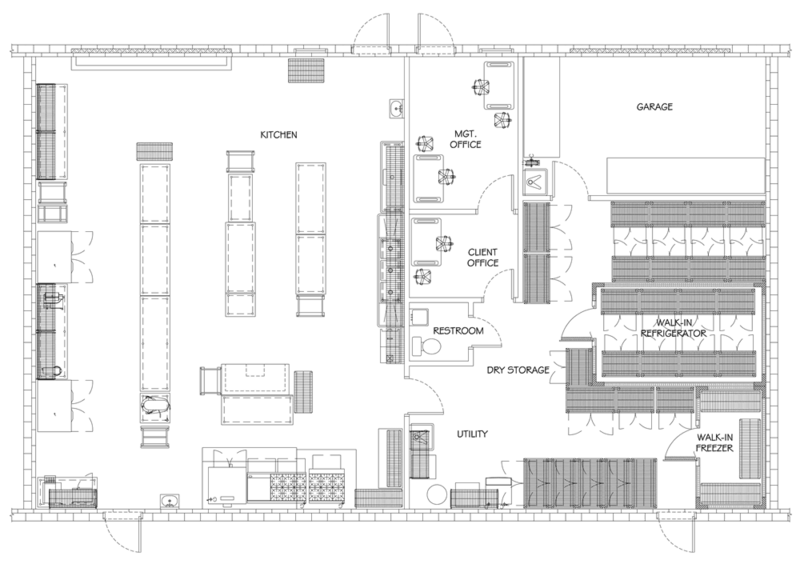 The Delaware Kitchen Share commercial kitchen design required a total reorganization of the operating space in order to provide multiple work stations for several clients at one time. Click Here to learn about the commercial kitchen design and development services we provided for the Delaware Kitchen Share Project.